Use this guide to start your research in topics in the area of economics. Databases are a good place to start searching for up-to-date research and online journal articles. Access articles, journals, etc. Covers business, economic conditions, corporate strategies, management theory, management techniques, business trends, competitive landscape and product information, accounting and finance. Find information on ASX-listed companies including corporate history, trading history, industry comparisons, price and financial history and delisted companies. Access more than 480 journals, including the American Economic Association journals. Search full-text journals, books and case studies on a range of subjects including accounting, finance and economics, and public policy. Search scholarly articles, country economic reports, company information and case studies. Covers economics, marketing, management, MIS, POM, accounting and finance. Find articles covering current affairs, law, humanities and social sciences and business in these Australian databases. Access thousands of journals and millions of articles. Covers subjects including business and economics, law and social science. Dictionaries and encyclopaediae are handy for gathering background information when you start researching a topic. They can help you clarify topics and identify related concepts and terms which you can use to develop a search strategy. Credo Reference is an ideal place to find background information when you are starting your research. Search by topic, title or image. It also has a handy mind-mapping tool which allows you to explore concepts related to your search term. A social sciences digital library that hosts more than 2,700 titles. It includes an expansive range of SAGE eBook and eReference content, including scholarly monographs, reference works, handbooks, series, professional development titles, and more. From Aristotle and Thomas Aquinas, to Adam Smith and John Maynard Keynes, to the top economic thought leaders of today, The Economics Book is the essential reference for students and anyone else with an interest in how economies work. An authoritative and comprehensive dictionary containing 2,500 key economic terms. It covers all aspects of economics including economic theory, applied microeconomics and macroeconomics, labour economics and more. The New Palgrave Dictionary of Economics includes entries on topical issues including gender and economics, recent economic crises in the European Union and beyond, health economics and the economics of the Internet. With over 3,000 individual articles, this is the definitive scholarly reference work for a new generation of economists. Increasing economic globalization has made understanding the world economy more important than ever. From trade agreements to offshore outsourcing to foreign aid, this two-volume encyclopedia explains the key elements of the world economy. The Routledge Dictionary of Economics defines key economic and financial terms. Updated to reflect economic changes including the emergence of experimental and behavioural economics, new political economy, the importance of institutions, globalization, environmental economics, financial crises and the economic emergence of China and India. This reference source on macroeconomics embraces definitions of terms and concepts, conflicting ideological approaches and the contributions of major thinkers. Comprehensive in scope, it contains over 300 short entries and more than 100 specially commissioned main entries from an internationally renowned group of scholars. Media databases are essential resources to find the latest news and feature articles related to politics, trade and issues impacting the Australian and international economies. Major Australian and New Zealand newspapers. It includes regional and rural radio transcripts and news from current affairs television programs such as the ABC 7.30 Report. Provides access to Australian and international newspapers, including The Age, The Australian, Canberra Times, The Courier Mail, Herald Sun and The Sydney Morning Herald. Over 6000 current newspapers from around the world. Does not include Fairfax and Newscorp titles. Access to more than 1,530 major local and international newspapers. Video databases can be useful resources to keep up with current affairs, and find documentaries and investigative journalism related to economics on programs such as Four Corners and The 7:30 Report. Search for current affairs, documentaries and TV programs related to business and economics. Find documentaries and TV programs related to economics, globalisation, sustainability, wealth and inequality and the Australian economy. Australian television news, current affairs and selected documentaries from the free-to-air networks with links to the digitised video content. Articles about applied economics with a strong policy orientation and analysis on a wide range of macroeconomic and microeconomic topics relevant to both economic and social policy issues. Provides a forum for quantitative economics. Publishes papers in areas including econometrics, economic theory, macro and applied economics. Constructive synthesis in the sciences of economics and sociology. Provides a forum for theoretical, applied, policy and methodological research into social and economic issues. Features original research in economic theory. Focuses on the application of econometric techniques to various problems in economics and related areas and the interpretation of results. This book is an applications-oriented text designed for individuals who desire a hands-on approach to analyzing the effects of fiscal and monetary policies. Macroeconomics Simplified explains the intuition behind Keynesian and neoclassical macroeconomics using graphs and simple algebra. The book shows how theoretical perspectives affect macroeconomic policy choices and proposes a pragmatic approach to policy that is sensitive to prevailing economic conditions. This rigorous textbook tames technicalities and makes even the most complex models accessible to students. Coverage is primarily directed to undergraduate students and is mainly confined to graphic analysis and to some elementary algebra. This text integrates resources into the model from the ground up, allowing a more logically consistent understanding of the economic effects of changed resource availability. Principles of Microeconomics An Integrative Approach by Kolmar, Martin. 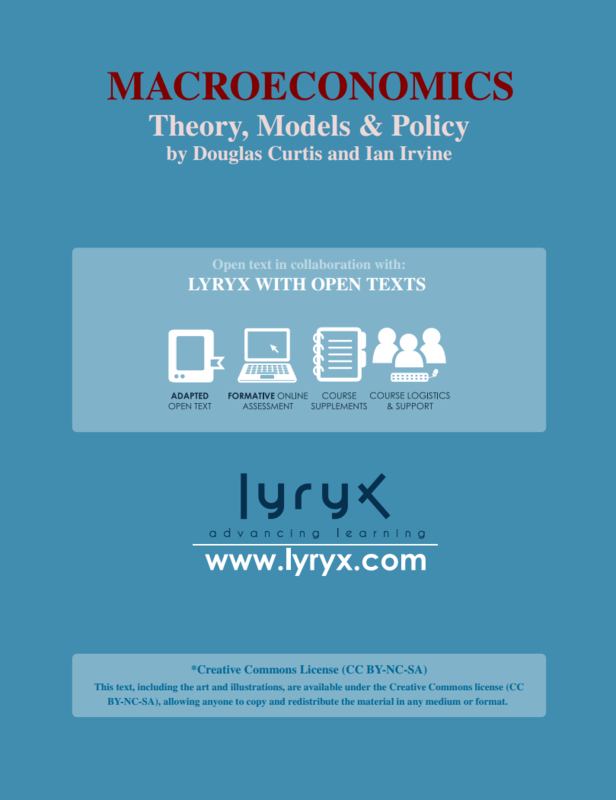 This text provides a comprehensive and unique introduction to modern microeconomics. It pursues an integrative approach by putting the main findings of economics into a broader perspective; theories are critically reflected on from a philosophical standpoint and by comparing them to approaches found in the social sciences, while implications for the design of the legal system and business practices are highlighted throughout. This is the companion workbook for the textbook Principles of Microeconomics. Each chapter features exercises, ranging from basic multiple-choice questions to challenging mathematical problems and case study scenarios. Contemporary Issues in Microeconomics by Stiglitz, Joseph E.
With contributions from international scholars, this volume focuses on the issues of global inequality, poverty measurement and security, income contingent loans (ICL). National economies are linked through flows of capital and goods. This book addresses those linkages, analyzes their benefits for economic development, and evaluates a country's opportunities to reap the best possible rewards by influencing the linkages. The book focuses on the role of product characteristics in international economics and their impact on economic development. This text presents conventional and new approaches to trade theory and policy, treating all important research topics in international economics and clarifying their mathematical intricacies. It addresses undergraduate students with clear language and illustrations, making even the most complex trade models accessible. 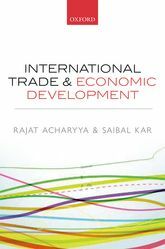 This text offers advanced and contemporary readings in international trade and economic development, constructed on various fundamental topics that define the realm of this subject. It brings together many of the issues that are considered staple reading for a course in trade and development, but was previously unavailable in a comprehensive manner. "Since June 2018 Australia and the European Union have been negotiating a Free Trade Agreement. This book offers insights from recognised experts in the field, from Australia, Europe and Asia, on the potential economic benefits to be reaped from greater economic openness." This book focuses on political economy in its cultural, religious and historical roots, as well as leadership decisions, spurring critical thinking. 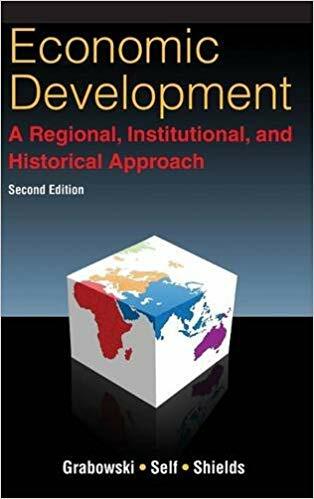 Working through the unique development paths of individual countries, the authors foster integrative thinking and a strong sense of realism about both the prospects and challenges of economic development in the rapidly evolving global economy. Sustainable economic development : Green economy and green growth by Walter Leal Filho editor. Diana-Mihaela Pociovalisteanu editor. Abul Quasem Al-Amin editor. This book introduces the influence and impacts of green economy and green growth on sustainable economic development. Combining empirical and theoretical information, it provides detailed descriptions of state-of-the-art approaches, methods and initiatives from around the globe that illustrate green policies and demonstrate how green growth can be implemented on an international scale. This text analyzes central mechanisms in the systematic economic interaction between rich and poor countries. It focuses on the drivers and effects of investment in developing countries and shows that predictions of standard economic analysis may turn around when accounting for peculiarities of North-South globalization. Official Australian statistics on a wide range of economic, social, population and environmental matters. Includes Australian census data. Updated weekdays at 11.30am. A non-profit venture promoting sustainable global development and achievement of the United Nations Millennium Development Goals by increased use and understanding of statistics. Informed by a human-development approach that advances the the richness of human life rather than simply the richness of economies. Features a range of time series data on IMF lending, exchange rates and other economic and financial indicators. The KOF Index of Globalization measures the three main dimensions of globalization: economic; social; and political. Features statistical releases relating to key data produced by the Bank which are accompanied by commentary and statistical tables for a range of economic and financial data produced by the Reserve Bank and other organisations. The World Development Report is The World Bank’s major annual analytical publication. Each year it focuses on a particular aspect of development selected by the Bank's president. The Worldwide Governance Indicators (WGI) project reports aggregate and individual governance indicators for 215 economies from 1996–2013. The ACCC is Australia's competition regulator and national consumer law champion. Enforces company and financial services laws to protect consumers, investors and creditors; regulates and informs the public about Australian companies. Governing body for Australian business associations. The Department of Finance assists government across a wide range of policy areas to ensure outcomes are met. Provides economic analysis, research and statistics on infrastructure, transport and egional development issues to inform both Australian Government policy development and wider community understanding. Offers business news and commentary about Australia. Australian Government's independent research and advisory body on a range of economic, social and environmental issues. A not-for-profit scholarly organization which promotes economic research. The primary economic forum supporting sustainable economic growth and prosperity in the Asia-Pacific Region. Dedicated to reducing poverty in Asia and the Pacific through loans, grants, economic research. UN agency that seeks the promotion of social justice and internationally recognized human and labour rights. The IMF aims to ensure the stability of the international monetary system—the system of exchange rates and international payments that enables transactions between countries. Promotes policies that will improve the economic and social well-being of people around the world. An independent international organisation committed to improving the state of the world by engaging business, political, academic and other leaders of society to shape global, regional and industry agendas. Deals with the global rules of trade between nations.